Rose Women’s Organization (RWO) traces its lineage to Rose Auxiliary at Rose Medical Center. 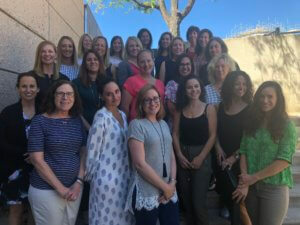 From its roots as a service-based group for women, RWO has evolved into an organization that awards grants to improve the health, education and welfare of women, children and families in the Greater Denver community. Rose Community Foundation provides philanthropic advisory services and administrative support to RWO, manages all of RWO’s investment assets and files all relevant tax documents on behalf of the organization. RWO operates under the 501(c)3 charitable tax status of Rose Community Foundation, and all of RWO’s financial assets are part of Rose Community Foundation’s assets. 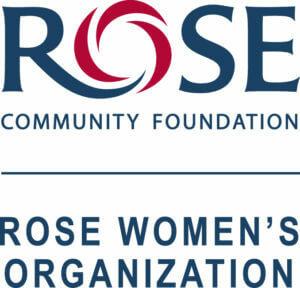 Rose Women’s Organization awards grants to improve the health, education and welfare of women, children and families. The group learns and grows together through a process of researching, evaluating and ultimately making grants to nonprofit organizations. Grants are made annually. Funding opportunities are by invitation only. In 2018 Rose Women’s Organization made grants to non-profit organizations supporting mental health prevention and intervention for children K-12 and social emotional education for children and their families. You may visit Rose Community Foundation’s online donation page to make a secure credit card donation to Rose Women’s Organization. (In the “Please direct my gift to” field, choose Rose Women’s Organization) or contact Susan Lanzer at slanzer@rcfdenver.org or 303-398-7421.